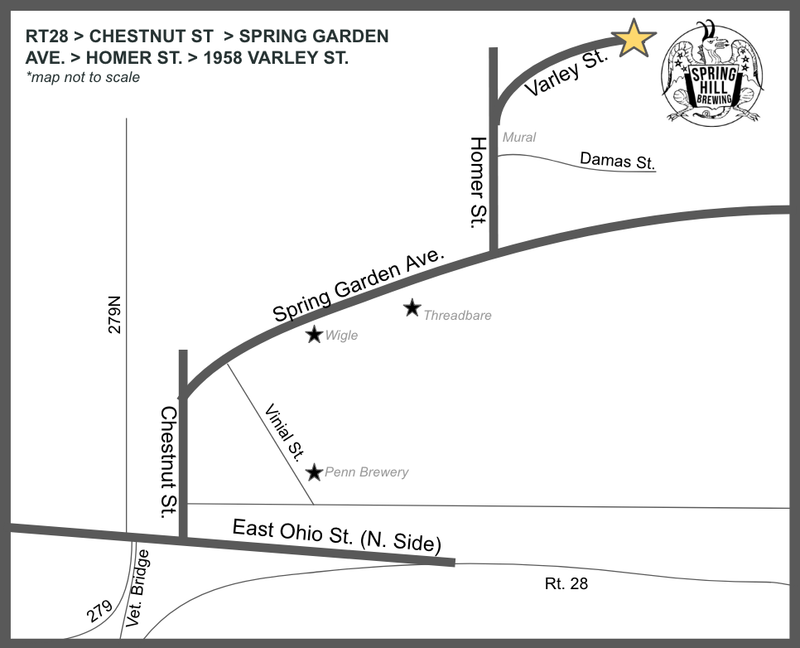 If your map app leads you astray: RT28 > CHESTNUT ST > SPRING GARDEN AVE. > HOMER ST. > 1958 VARLEY ST.
For events, employment, sales and general brewery info, email us at springhillbrewing@gmail.com. Follow us on Facebook and Instagram to receive the latest Spring Hill Brewing updates! Merchandise like stickers, shirts, glasses and bottled brews can be purchased in our taproom. Electronic gift cards are available via Square — click here!